Smart phones, smart buildings – it's time for smart garages, too! JetVent Fans’ energy-efficient ventilation system dynamically adjusts the ventilation rate according to the CO or NO2 pollutant levels, or temperature in the space. A new step forward in garage induction ventilation systems, JetVent fans combine EC fan motors’ advanced technology, digital controls, and integrated sensors to deliver the ultimate in energy efficiency and safety. JetVent Fans EC motor’s infinite speed control allows for an unprecedented level of precision in ventilation. The propulsive force of a jet required to accelerate one kilogram of mass at the rate of one meter per second squared in the direction of the applied force, measured in Newtons (N). 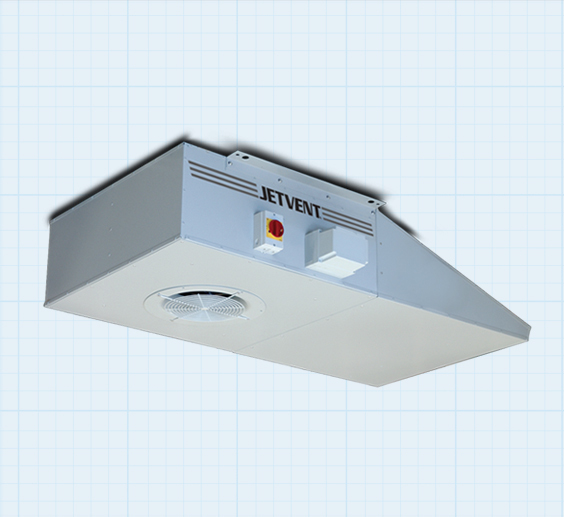 The JetVent Control Center offers significant energy savings through comprehensive ventilation management. The Control Center communicates with JetVent fans, integrated sensors, supply fans and exhaust fans to dynamically control the rate of ventilation according to the CO or NO2 pollutant levels, or temperature in the space. 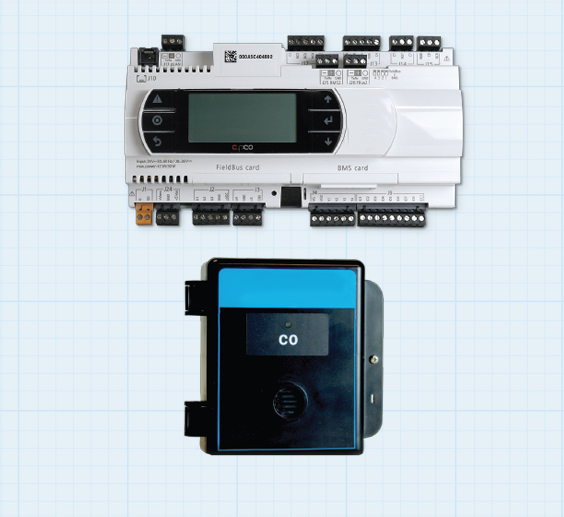 This control system costs less to install, is simple to commission, and easy to monitor. 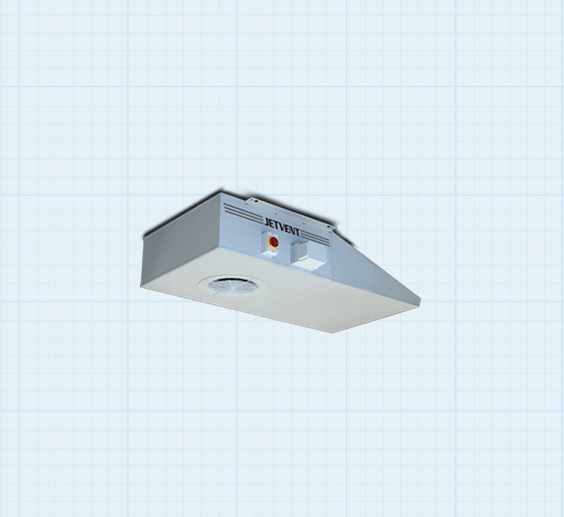 An innovative alternative to traditional ducted systems, Induction Ventilation Systems are comprised of a series of high-velocity JetVent fans that improve ventilation, save energy, and offer sophisticated communication, management and alarm notification. The JetVent Fan system utilizes the latest in EC motor technology with integrated speed control and connected sensors. The many advantages of Induction Ventilation Systems with JetVent Fans is driving a rapid expansion of installations throughout Europe, Asia, Australia and the United States. The low-profile design of these induction fans can result in significant savings in excavation and construction costs. 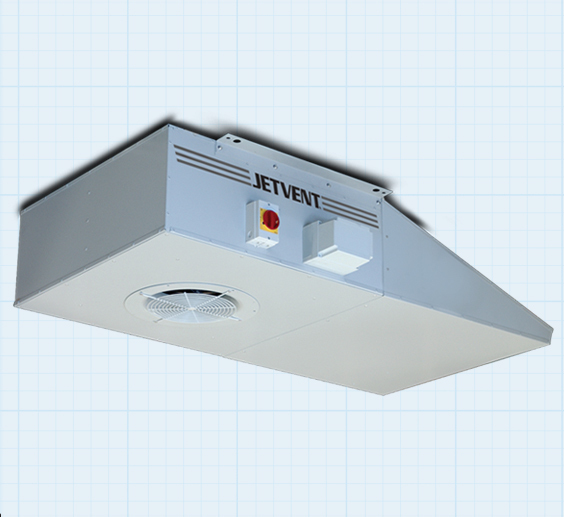 JetVent Fans are engineered to perform when mounted at the ceiling in-between support beams. This height savings can be the critical difference in providing ventilation for parking garages. In new construction, the cost savings from reduced ceiling heights can be particularly significant in multi-level structures. Dynamic management of the ventilation system based on actual pollutant levels generates significant energy savings. 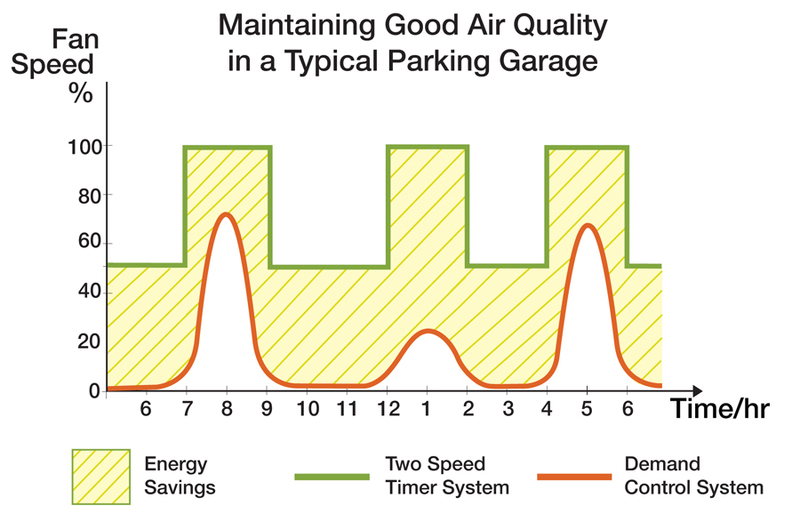 The ventilation system runs dramatically less, at lower speeds, while safe ventilation levels are maintained. A JetVent Fans Induction Ventilation System operates on well-proven principles of longitudinal tunnel ventilation engineering. The fans produce a high-velocity jet of air which, in turn, moves a larger quantity of air surrounding the fans through a process known as entrainment. The amount of air entrained by a fan increases with the velocity and the quantity of air that is discharged by the fan. These characteristics relate directly to the thrust rating of the fan, which is measured in Newtons (N).